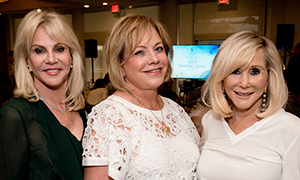 The Jewish Women’s Foundation (JWF) of South Palm Beach County hosted its sixteenth annual Granting Wishes Cocktail Reception on March 12 at Boca Rio Golf Club. More than 160 guests from across the Jewish community were the first to learn about JWF’s $100,000 in 2019 grant awards (see list below) to organizations in the local community and in Israel. 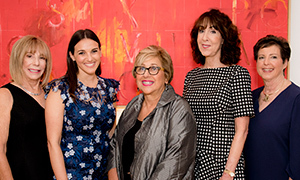 The guests also heard from noted educator, businesswoman and social entrepreneur, Barbara Greenspan Shaiman. 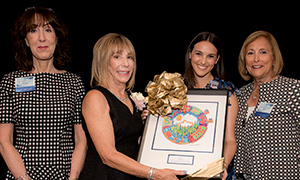 They honored Alice Kemper for her extraordinary five years of strategic leadership as JWF Chair, and welcomed Randee Rubenstein as rising Chair. And they enjoyed an abundant array of hors d’oeuvres, food stations, desserts and wine in an elegant and warm atmosphere. Greenspoon Marder is the generous 2019 Jacobson Jewish Community Foundation Sponsor. The Granting Wishes Reception was generously sponsored by BNY Wealth Management and Boca Raton Regional Hospital. The Boca Raton Observer was Exclusive Magazine Sponsor, and In-Kind Sponsors were Southern Glazer’s Wine & Spirits and Steve Greenseid Catering. For information about JWF or becoming a Trustee, visit jewishboca.org/jwf or contact Susan Levine at 561.852.6034 or susanl@bocafed.org.